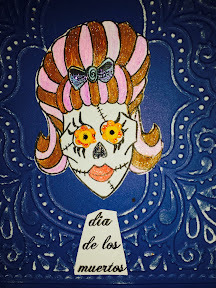 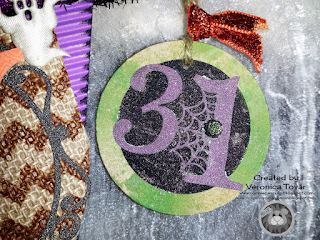 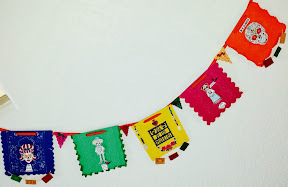 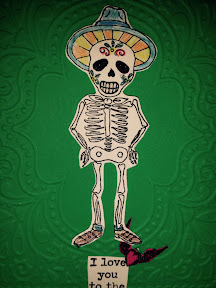 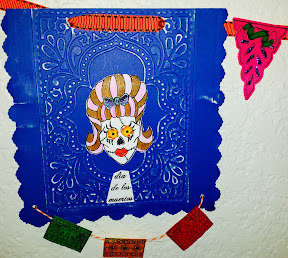 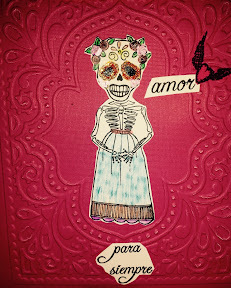 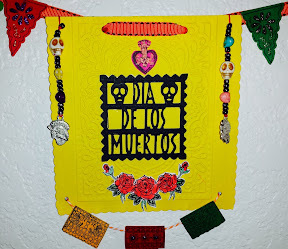 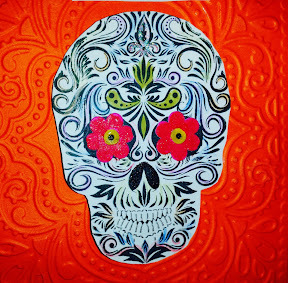 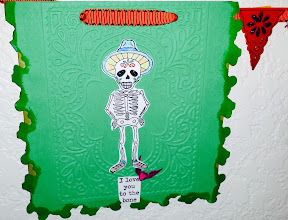 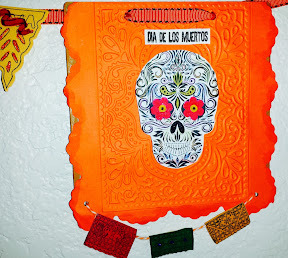 I while ago I bought some fun day of the dead stamps from Paper wings and haven't used them until I saw this challenges, which inspired me to make a banner for the day of the dead. 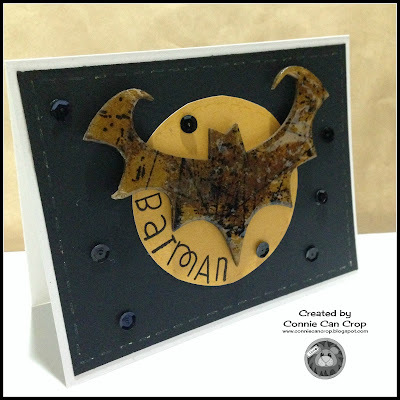 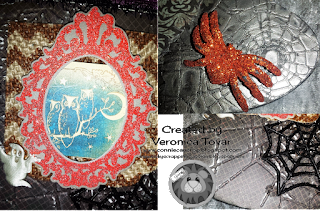 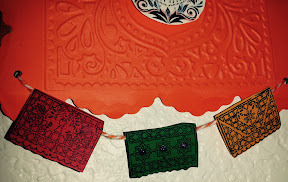 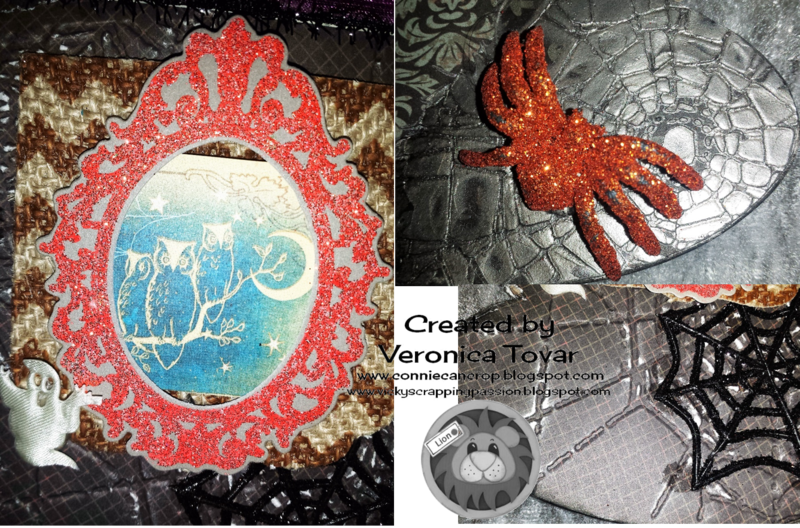 I embossed the banner panels using this marrocan design folder from Sizzix. 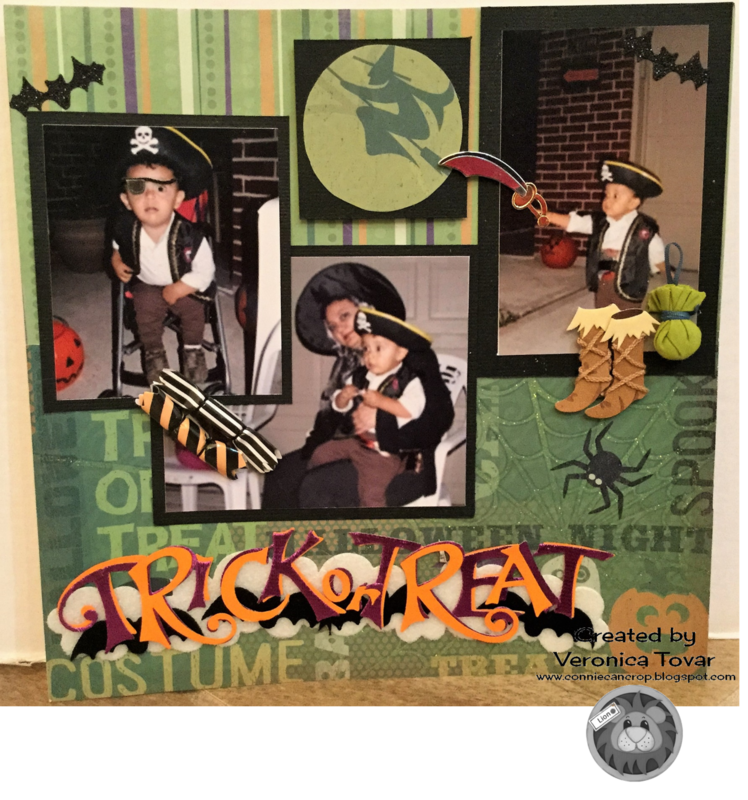 I used some stickers from Jolee and the Title is also a sticker from my stash. 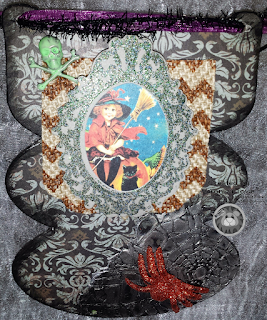 You can see I used part of the Karen Foster paper to make my center Witch embellistment. 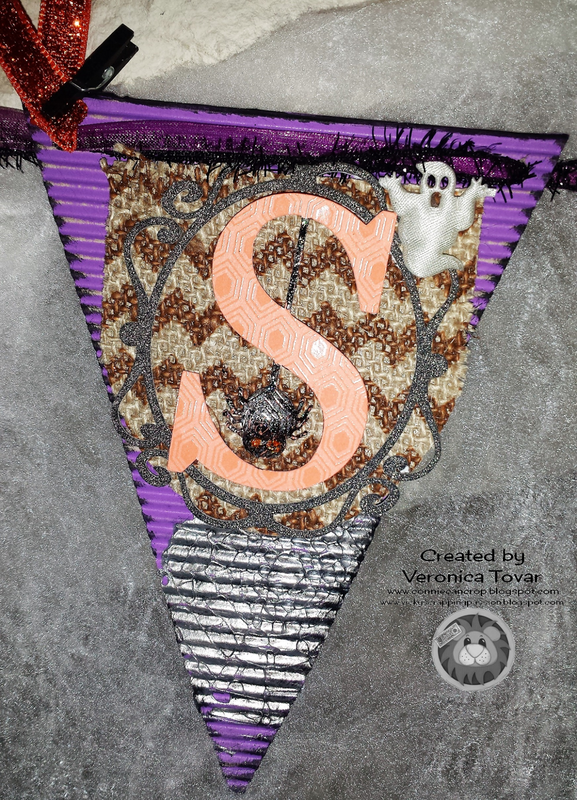 This project was uper easy an uncomplicated. 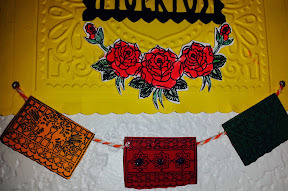 No many techniques or embellistments. 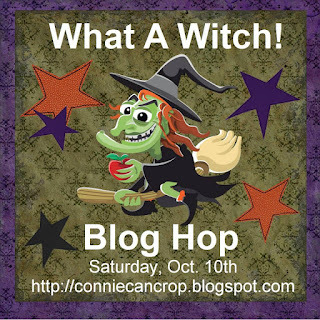 In Connie's words: "It's October! I love October! 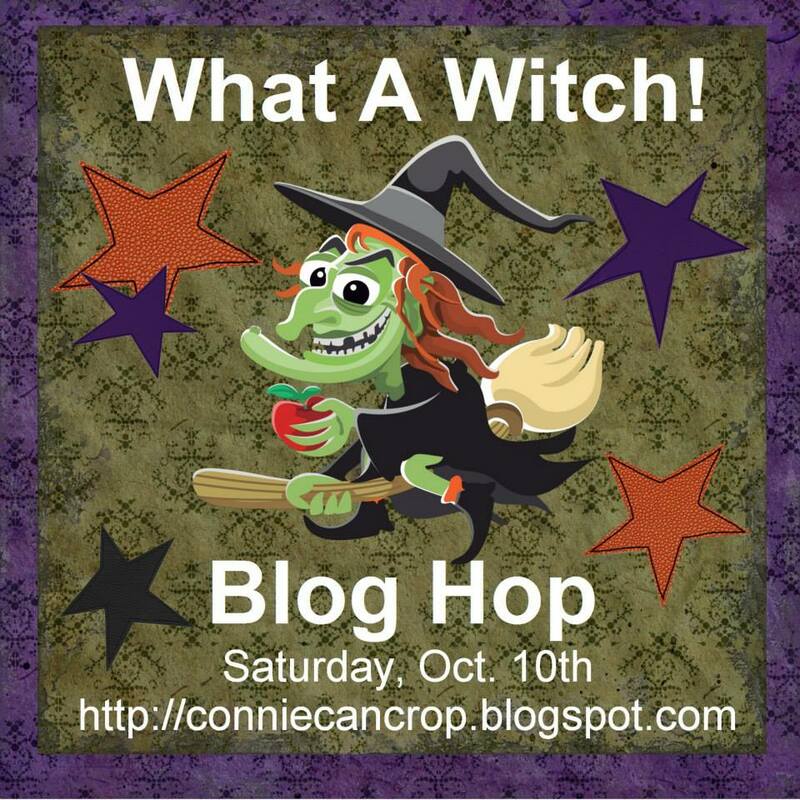 I love the change in the weather, the smells, the colors, the kiddies in costumes, the candy! 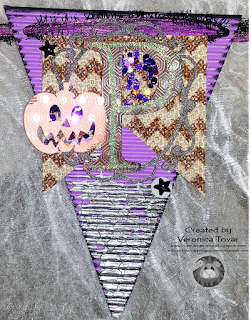 Yes I love October! 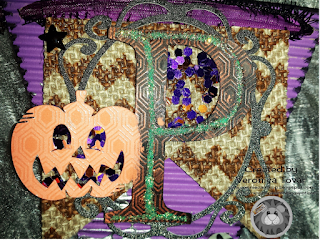 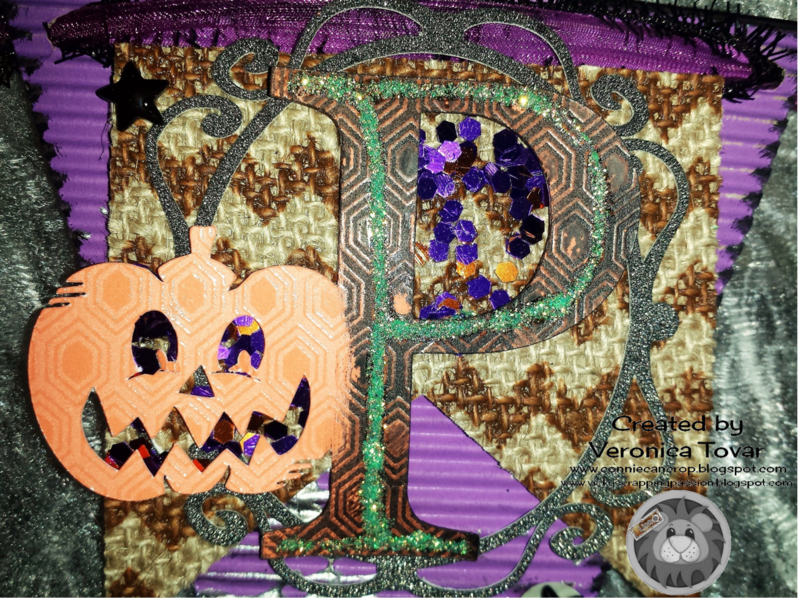 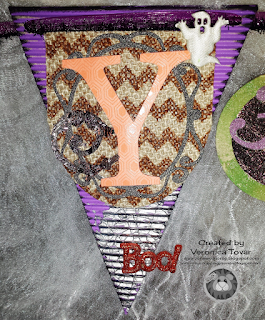 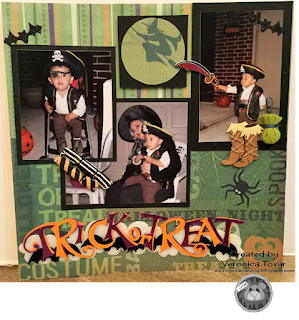 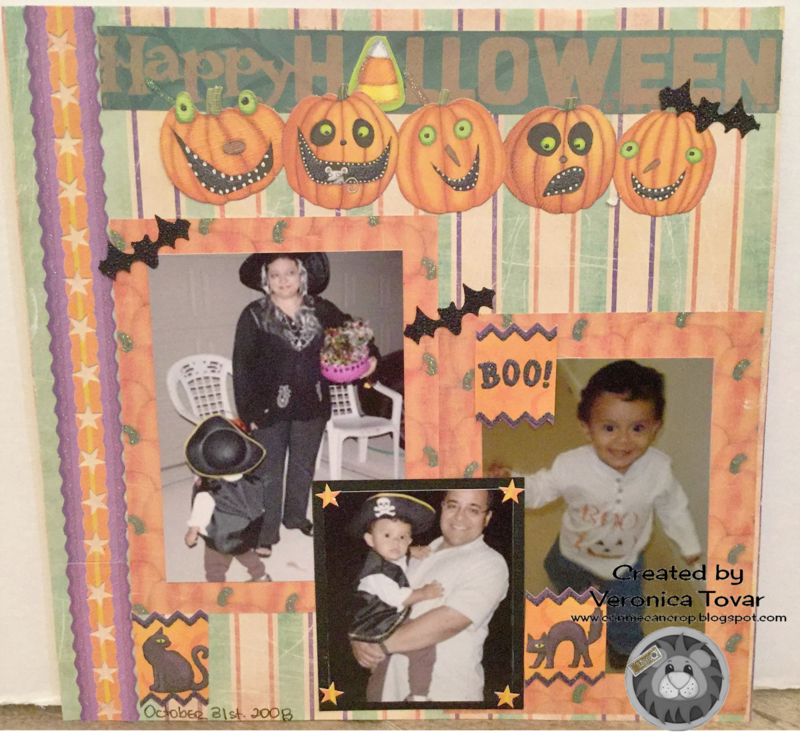 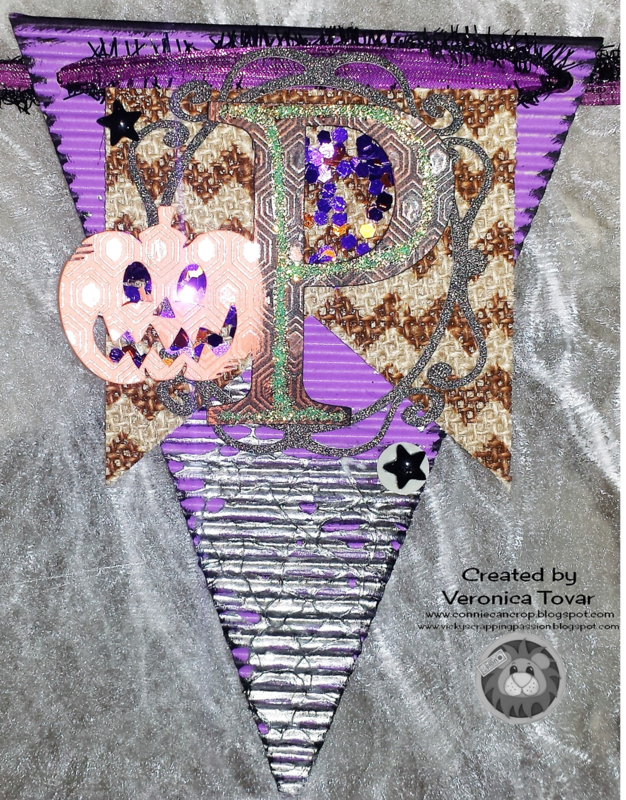 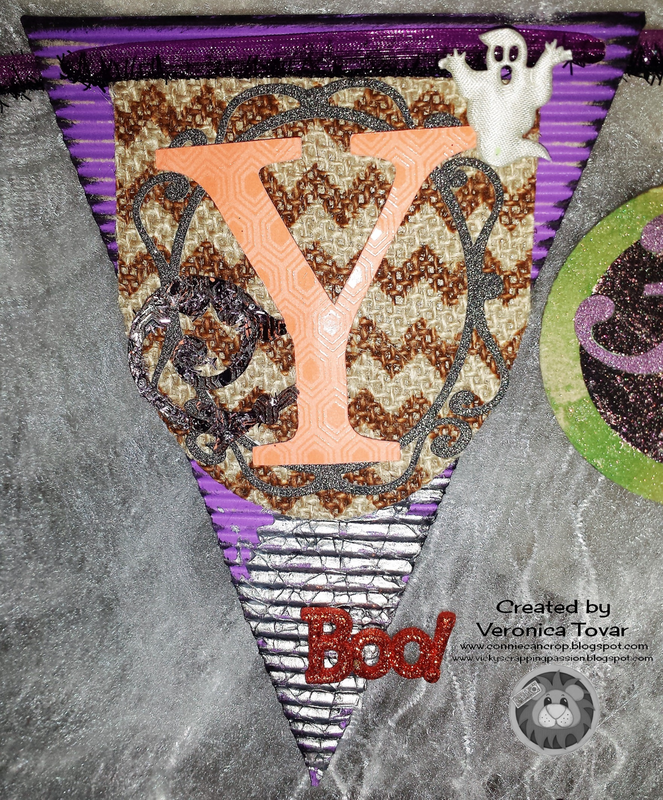 I thought I would bring some Halloween fun to my challenge this month!"  Here's we, Connie's Design Team, created for this month's challenge. 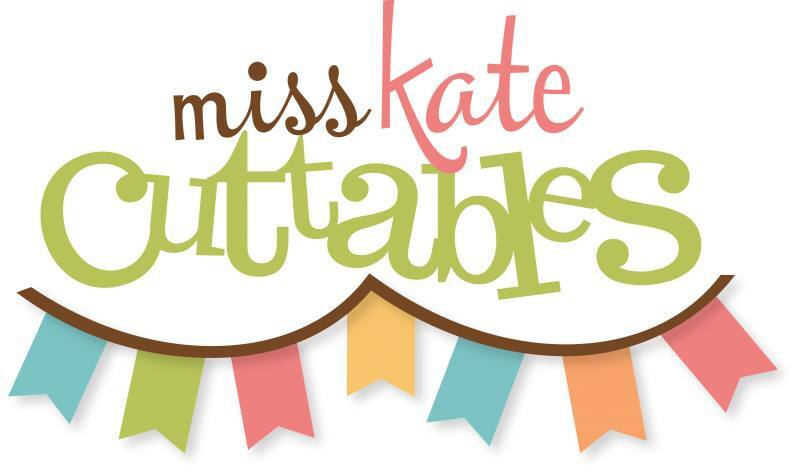 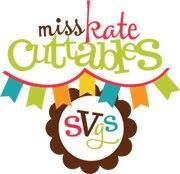 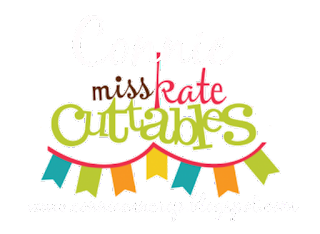 We have a fantastic sponsor this month, Miss Kate Cuttables. 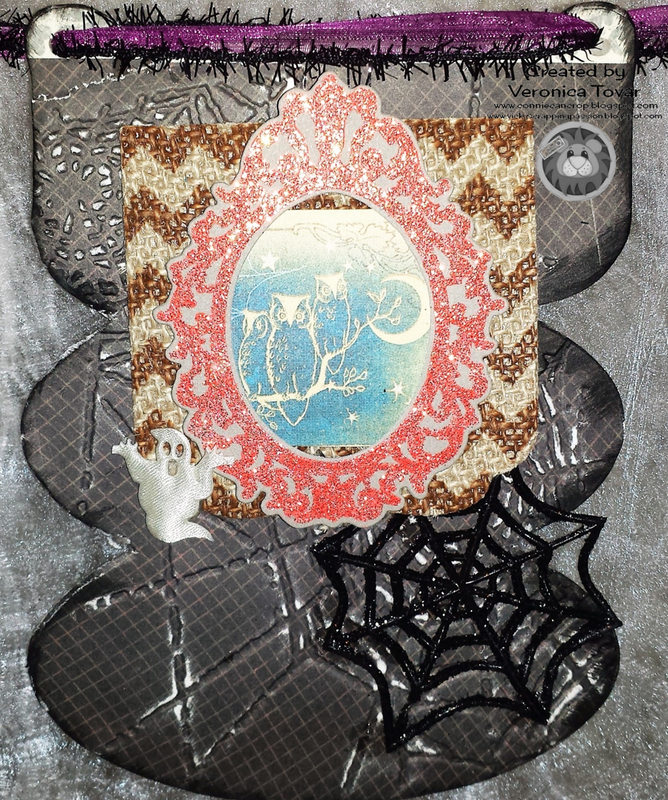 I used some of my stash: Karen Fosters adorable 8x8 paper pack. 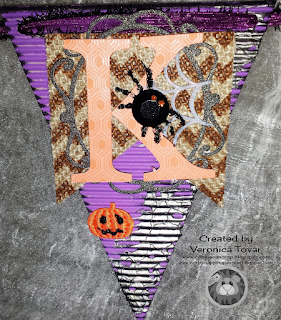 K& Co borders (picture here is from the internet), These borders are adorable and have a lot of sparkle, which is not really shown in my picture. 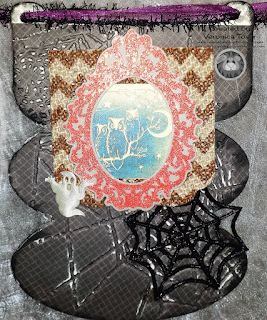 And some Bats glitter tape from Recollection, also from my stash.